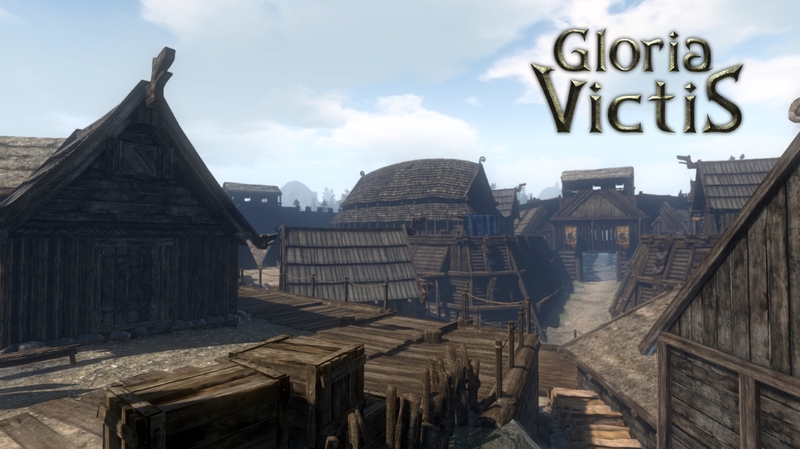 About a year ago I delved into the world of Gloria Victis. Despite testing a very early build at that time I enjoyed playing but advised people to wait a little while, because the game was lacking in the content and polish department. Now almost exactly one year later I once again decided to check on progress as it just went live on Steam. Despite the game still being in the Alpha stage, it’s gone a long way since the build I played last year. The world is finally coming fully alive with a fully supportive and growing community behind the game. Is Gloria Victis the next flower we see blossom into beautiful reality, or will it fall like the rest of the potential sandbox great hypes, forever to be remembered as what could have been. As a journalist times have changed since the dawn of the ‘early access’ generation. Back when we used to be given copies of games, they were close to being finished and most of the time were the actual released products but given in advance to us by just a few weeks. But since the concept of a demo now shifted towards being welcomed as a free beta tester, we usually get to judge these games in broken or unfinished states – giving the impatient and easily distracted public the wrong impressions of what the game will eventually be. 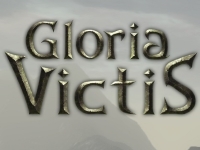 Gloria Victis is one of those games that simply went public too soon, and I can understand why exactly this happened to a game with such a small group of developers working on the project. Unfortunately Gloria Victis is one of those games that picked up a bad rap for doing just that. 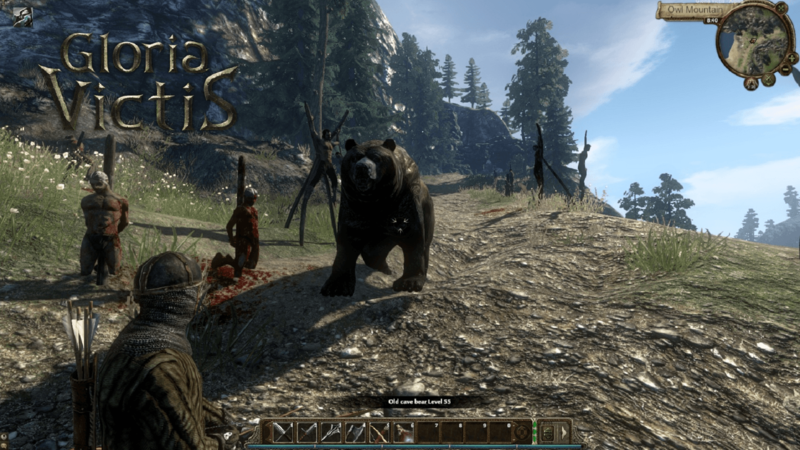 Gloria Victis started as a Kickstarter project in late 2012 and unfortunately didn’t reach their set goal by the end of the year. Despite this the team continued to work on their game and release a pre-alpha playable built in the following year. This helped them show their product and eventually created their own style of a kickstarter project. Lucky for them their fans followed, and offered enough funds to keep them struggling on through today. Here we are in 2016, in a setting where game standards are incredibly different than the atmosphere of 2012, and still Gloria Victis is not in a release state. Still you have to admire their dedication to the project. Not only do I like their vision, but they actually worked on their dream project and never gave up. But what exactly has happened in all of these years besides finally selling their game on our most beloved platform, Steam? After all these years what eventually made it in, what was scrapped and what is still being pressured from coal to diamond? These were the questions I now sought for with the Steam release that they were waiting so long for. 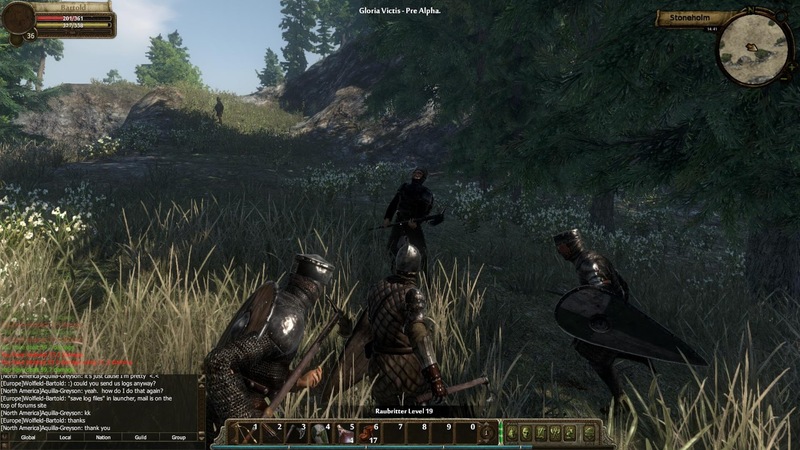 Gloria Victis plans to eventually have four different nations battling it out on a huge map with different capture-able zones for people to fight for. While we currently only have two nations to choose from, and no real difference in the actual characteristics of the game to show for, it basically boils down to a fight between the east and west for… reasons. While each nation does have a really long backstory of the people themselves, what they live for and what their goals are have no reflection on gameplay. Right now it’s just a raw game of people fighting for their side just for the pure fun of the combat system, and that is fine although a little disappointed for a game that has been in the works for almost four years. The world doesn’t feel alive. From the moment you start out in your first city and see the generic NPCs wandering about shouting the same rhyme or story over and over again, you know that the game still has a long way to go. The game has set its goal to be very interesting for the role playing fans but also cuts short on the actual tools providing this for the community. 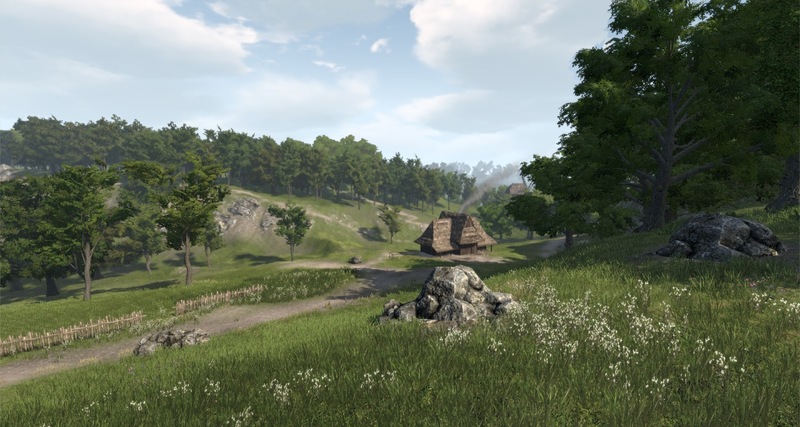 Even the wild animals, or the peasants and bandits wandering around the beautiful landscapes of Gloria Victis all lend more towards a sandbox game where the freedom of storytelling is in the player’s hands. And stories they will create, because the actual graphics in the world are beautiful, from beautiful grassy landscapes to nice atmospheric swamps where you will second guess yourself if you are actually playing a game or hiking in the woods. This comes at great cost however, as the visual improvements are recent and not well optimized. After a simple but buggy tutorial, you are simply thrown into the world with no idea what to do next or where to find battle. The developers simply assume you will just go explore the world, attack everything in sight that is in your level, and keep everything that you have on you to eventually craft into something else that will eventually build up your character… maybe? This sounds an awful lot like a sandbox game doesn’t it? But this is where the ‘sandboxy’ bit stops and turns the game into a very linear form. 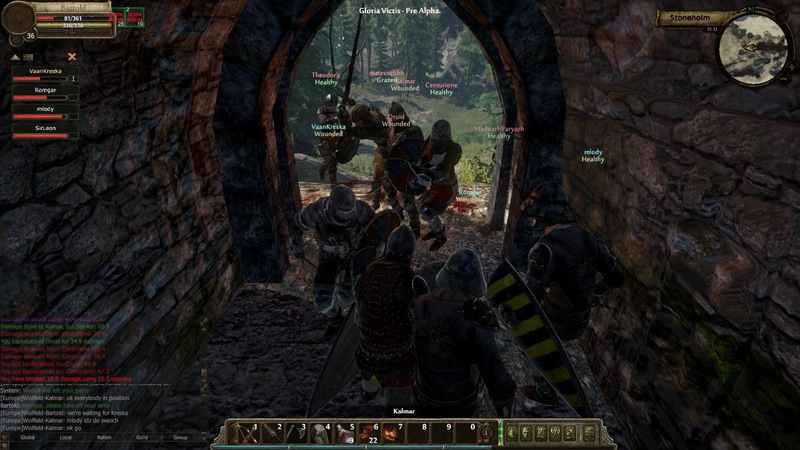 The game seals the deal with its gameplay – not with the very empty castles and keeps giving you the impression the world isn’t actually lived in, but through confrontations with the real players walking the lands, telling their own story. The gameplay is what it’s all about. For all my negatives, the RPG aspects of fighting and building up your character through crafting join with the visuals as a solid system that still rivals modern games releasing today. 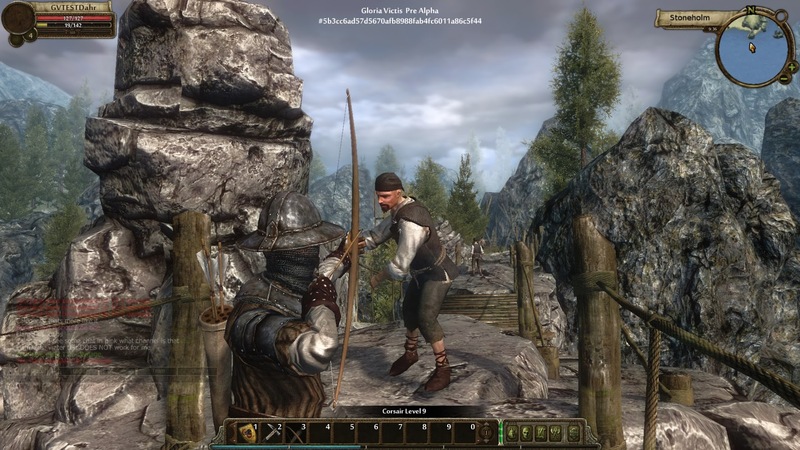 After diving deep into the crafting system to build your weapons of war, you are ready to test your metal against wild animals, bandits or peasants, you name it you can kill it. And kill everything you should, as it’s the most efficient way to build up your material stocks to keep upping your crafting. Besides killing, you can also gather wood and minerals scattered around in the world to actually combine everything together. The crafting is simple, linear, but done in the right way to keep it fun and an actual challenge to create your gear and weapons. The combat is another slice of the pizza that’s been left on the counter for too long. It’s simple, boring and provides no actual challenge. You use left mouse button to swing your weapon, the longer you hold it the more damage you do, and when using a shield the right mouse button will provide defense via the same system. If you use a bow you also have to take into account that arrows will drop over a distance, forcing you to gauge the arch. 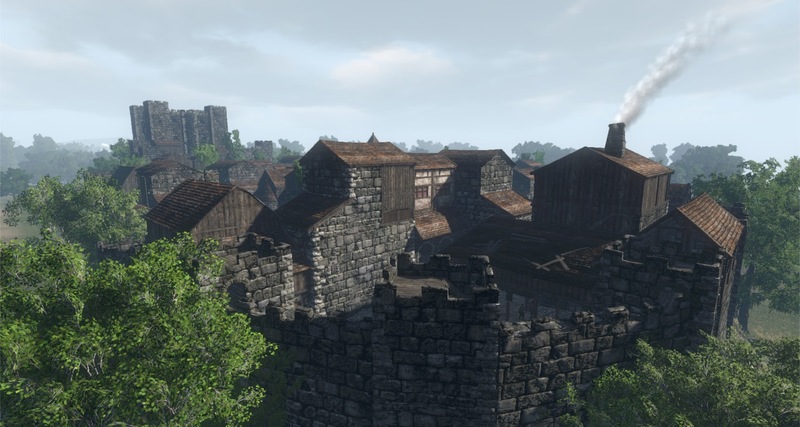 All very straight forward and simple and similar to games like Mount and Blade, to the point that it’s beginning to feel dated by other games nearing launch. There is some hope in the system gaining some new life via the ability system though. As of now though there are only passive abilities giving you bonuses for the likes of stamina and fighting, but in the future we will also see active abilities, perhaps giving more ‘umpf’ to the action of the game. The current action of the game isn’t stale, far from that really, but it does feel like there is something missing to the fight. Right now if you are a solo adventurer roaming the lands fighting for your nation there isn’t a lot to it. You sometimes get a notification in your screen where fights are happening, and if you don’t stroll towards the marker you might find some action. 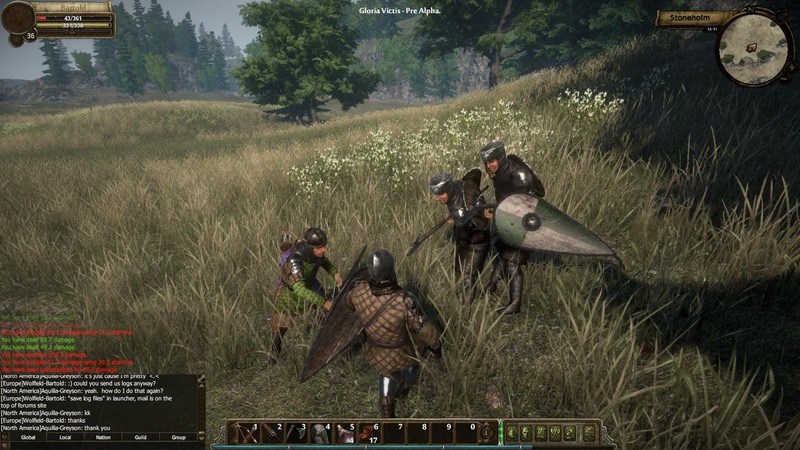 The game does provide you guilds, enabling people systems to play together and fight under the same banner to gain a reputation throughout the land. This is where you will also find most of your PvP action. Forming a group can be difficult, but so incredibly worth it if you want to experience this game to its full potential. Running around with your group, fighting over castle control or in nice atmospheric places like the swamp can give you memories that you will still remember in the years to come. But right now the game isn’t forcing you to this, it isn’t helping you to do anything – experiencing Gloria Victis to the fullest is entirely on your drive to find the action and fun. And that in itself is scary; it is what scares people away including what scared me away a year ago. The game doesn’t feel like an RPG, it feels like an open world sandbox game. But without all the things you expect from an open world sandbox in 2016. Crafting acts as merely a way to progress your character, and not change the world around you. However, I have to admit not everyone is intimidated by the current state of Gloria Victis. The community has grown substantially, and group battles are becoming a more common occurrence. Burgeoning elements of roleplaying are starting to form as well. It is definitely respectable that the developers are working on their dream game for all this time, especially now that the game is starting to see a bit of success. Still the pace of development is too slow to keep up with the modern gaming community’s standards. 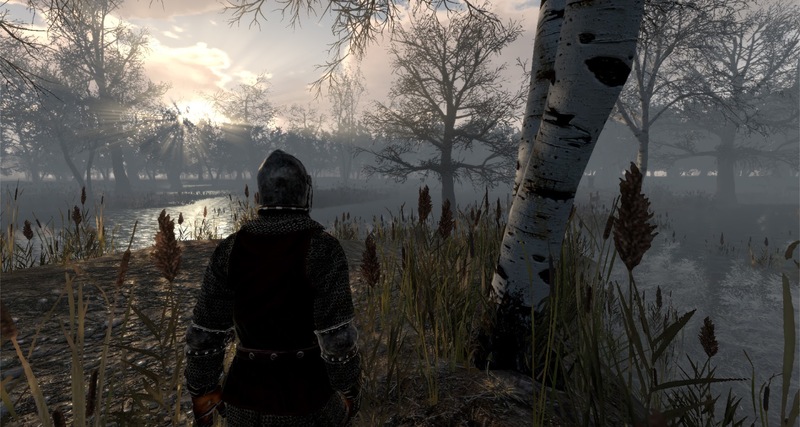 Medieval MMORPG sandbox games are a serious niche genre as is, and I don’t see Gloria Victis packing the chops to change that in the foreseeable future. It’s like an empty shell. The shell has all the markings of being an industry indie bombshell like DayZ, but I doubt it will ever fill the shell to reach that goal.